This procedure is having a nasal alar that is wide, round and thick with big nostrils. There are two methods to reduce alar; incision and non-incision. 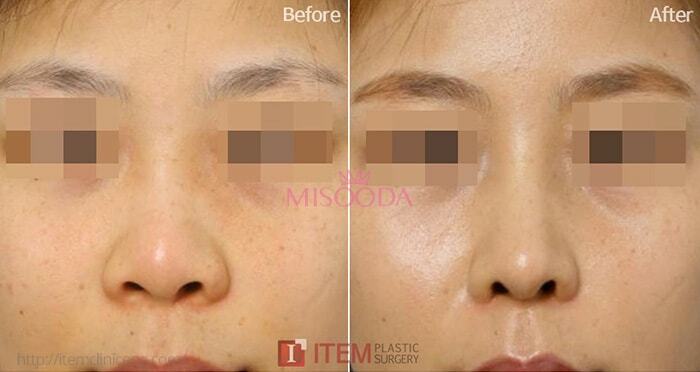 Incision method: It is a method to reduce the alar size by cutting the lower part of the nostrils inner sides. Most of cases are appropriate with this method. Alar is also be cut directly on the outer side of the alar along the alar wings then narrowed to the desired width. Scarring can occur but give a permanent effect. Non-incision method: It is a method narrowing the alar by tying the alar with alar cinching (gathering alar cartilage by stitching method). If alar is not severely spread out and only bottom part of the nostrils is wide, then this method is appropriate. Incision is made on the inner part of the alar and holds the alar cartilage by the stitching method. This method causes less chance of infection but limited effects to severely wide alars. Who are the candidates for Alar Reduction?